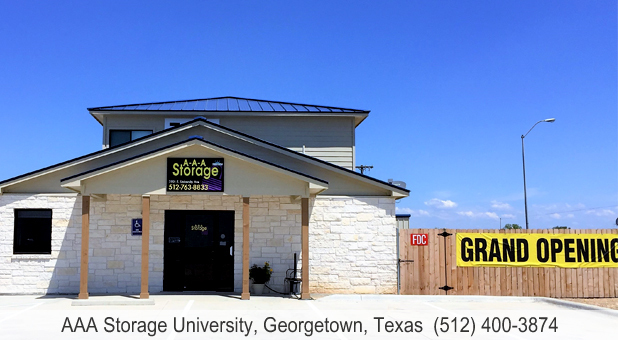 Conveniently located right off East State Highway 29 in Georgetown, TX, AAA Storage is perfectly situated to meet the storage needs of Georgetown, Serenada, Walburg, Weir, Jonah, Hutto, Round Rock, and other area communities. 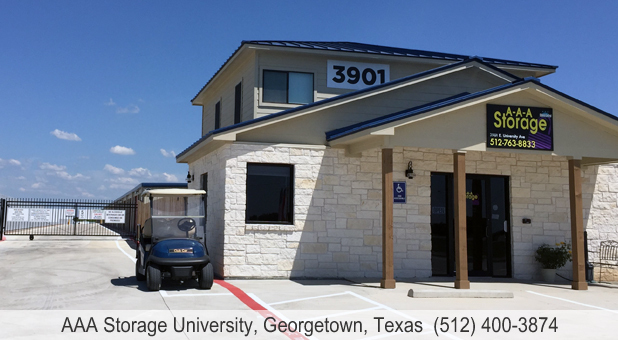 Our property is equipped with great security features like computerized gate access and an onsite manager to keep your stored belongings well-protected. We allow online bill payment to make storing with us as convenient as can be. 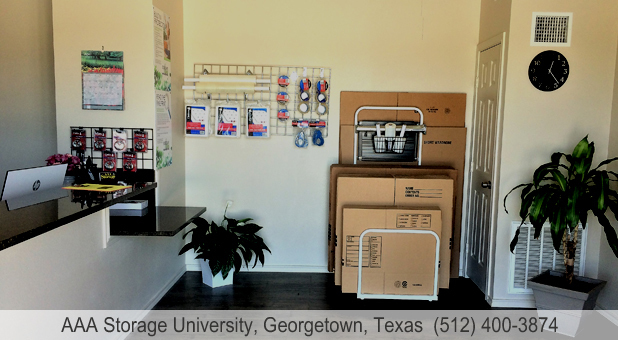 For even more convenience, rent one of our drive-up accessible storage units to move your belongings in quickly and easily! Additionally, our temperature-controlled units help us keep your stored belongings in good shape while they’re being stored. 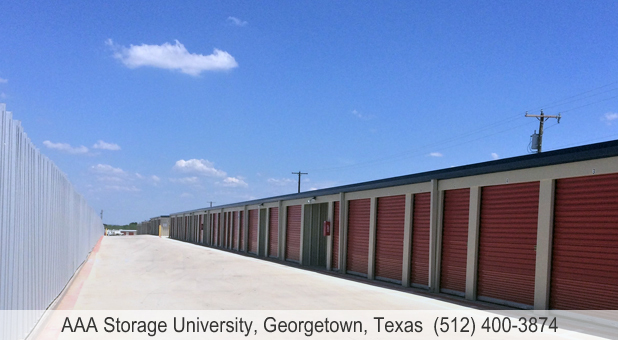 We’re eager to provide you with the storage unit or RV parking space you’re looking for. Contact us today to get started!